Welcome BackSide Fabrics & Week 2 Giveaway Winners! 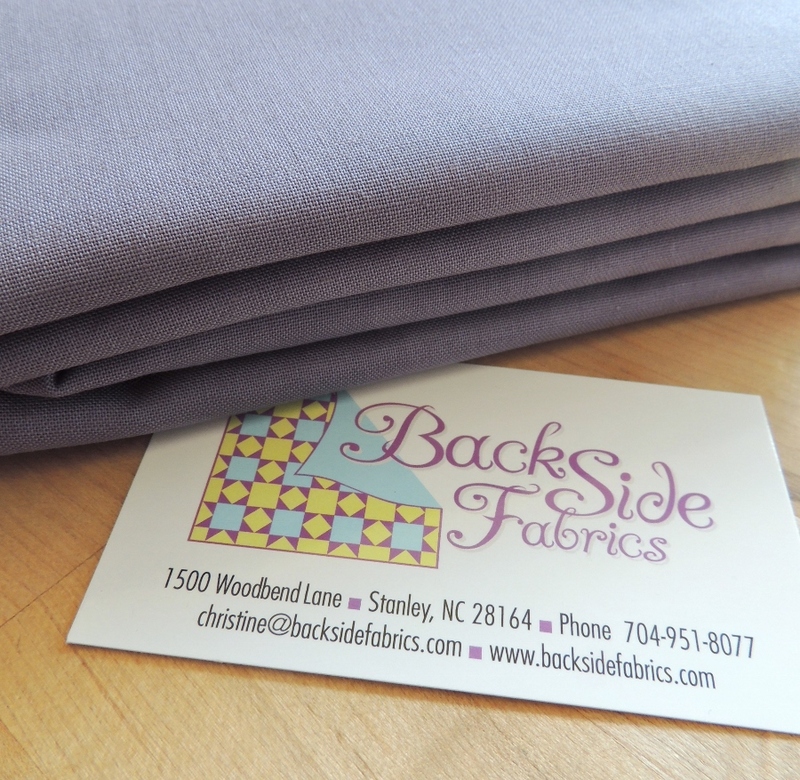 I am thrilled to announce that BackSide Fabrics has renewed their sponsorship of my blog for another year. BackSide Fabrics is an internet only, family run business, and is located in the Lake Norman area of NC (near Charlotte) run by Christine. They specialize in wide quilt backing fabrics that are both beautiful and affordable, and Quilters Dream Batting. I just made and received a 2 yard purchase of Robert Kaufman Coal for an upcoming quilt back. When I don’t have time to piece a quilt back or I am working on a large quilt, BackSide Fabrics is always the first place I look for my wide fabric backing needs! Below is a recap of all the wonderful posts from Week 2 and stay tuned, as Week 3 (with more great giveaways) kicks off July 11th! Id like to say congratulations to all of the winners. I really enjoy reading your blogs. I am so happy for you that Backside Fabrics has renewed their sponsorship with you. Thats just icing on the cake. Have a great rest of your weekend. Thanks for mentioning BackSide Fabrics…I never knew they existed! I’m always on the look out for wide backing fabrics and they have a ton! I’ve been following along and checking out all the New Quilt Blogger’s posts – I’ve learned a lot and started following quite a few! Congrats on your sponsorship renewal. I really like Backside fabrics. Quilter’s Dream batting is my new favorite (select loft). You use their Green batting, yes? How do you think it compares to natural fiber batting? I’m considering trying it on an upcoming project. Congrats to all the winners! And your continued sponsorship with Backside Fabrics! It’s always nice to find new fabric shops and congrats to all the winners and sponsorship renewal! Good Morning Yvonne! Congratulations to the winners of all of the wonderful giveaways! I am looking forward to the next week of all of the new bloggers! Have a fantastic creative day! I have not heard of Backside Fabrics (cute name!) and am off to check them out. Congratulations, always even better to retain a good relationship than to make new ones, so that’s great news.